IF YOU EMPLOY AN UNLICENSED PROVIDER OF INTRUDER ALARM INSTALLATION OR ALARM MONITORING CENTRE SERVICES YOU ARE BREAKING THE LAW! The Private Security Authority (PSA), established under the Private Security Services Act 2004, is the regulatory body for the private security industry. Under the Act, licences are now compulsory for private security contractors providing Intruder Alarm installation or Alarm Monitoring services. Contractors include companies, partnerships and sole traders. Contractors providing Intruder Alarm installation or Alarm Monitoring services without a licence are breaking the law. Similarly, any person employing an unlicensed Intruder Alarm or Alarm Monitoring company, is also breaking the law and faces penalties ranging from a €3,000 fine up to 5 years imprisonment. In order to obtain a licence from the Private Security Authority, the security provider must prove compliance with national standards and be a fit and proper person to work within the industry. A licence granted by the PSA is for a two-year period from the date of issue. The PSA can, at any time, suspend or revoke a contractor’s licence, if the contractor fails to comply with the conditions of the licence. The Revenue Commissioners have confirmed that electronic security systems will qualify under the Home Renovation Incentive Scheme. The scheme which will run until the 31 December 2015 provides for tax relief for home owners on qualifying expenditure on repair, renovation or improvement works carried out on a main home by qualifying contractors. Details of the scheme are available from the Revenue Commissioners at file www.revenue.ie/. The document provides tips on protecting your home. (Please click on icon above). Reducing burglaries and related thefts is a major priority for An Garda Síochána and a number of operations are in place nationally and locally to combat burglaries. For instance, Operation Fiacala, which is a national operation targeting travelling burglary gangs has led to over 7,000 people being arrested and over 4,000 being charged. 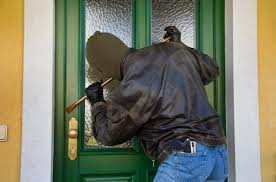 While there are also specific Garda operations in each region such as Operation Acer in the Dublin area that are successfully tackling burglars operating locally. “Burglars will tend to go for what they view as easy targets – houses with no lights on, no alarm, or unsecured doors and windows. So it is critical for householders to secure all doors and windows, light up their homes even when out, and have an alarm and turn it on even when at home,” said Sgt Kelvin Courtney of the National Crime Prevention Unit. From a home protection point of view sturdy doors are a must – make sure your house is fitted with sturdy outer doors. The exterior doors to your home should be made of solid wood or metal a minimum of an inch thick. Your door frames should be equally as strong as the doors and should fit the door correctly. Home intruder alarms are essential to your house protection. It’s well worth fitting an alarm to your home if you can afford one.